August 28, 2015. 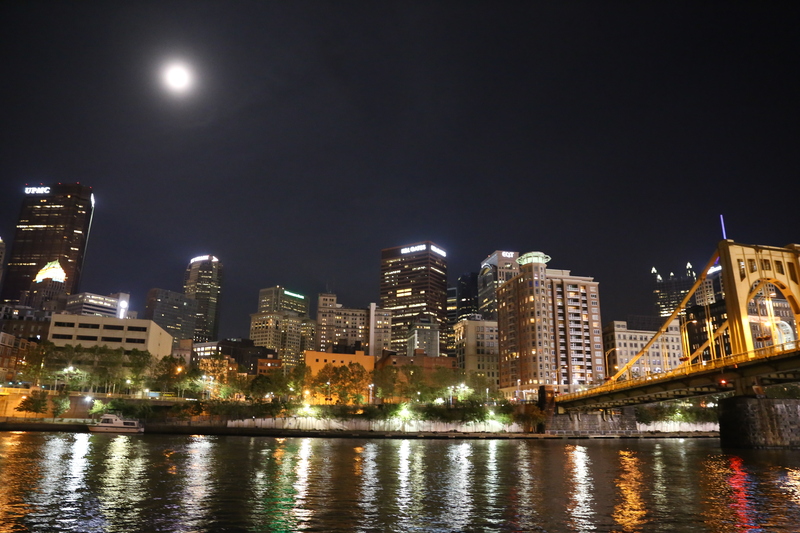 A beautiful August evening for a happy wedding celebration. 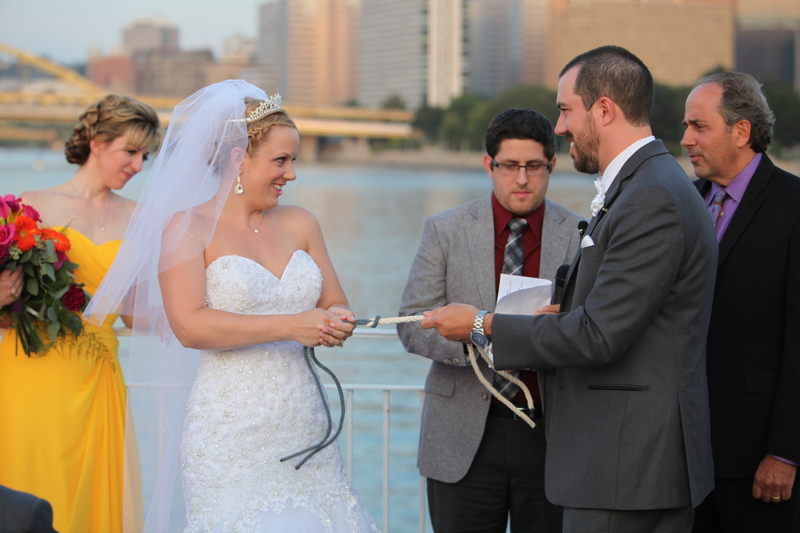 Here’s the first peek at some highlights of the photographs from the wedding. Congratulations to Kevin and Kat! The sun was sinking fast. 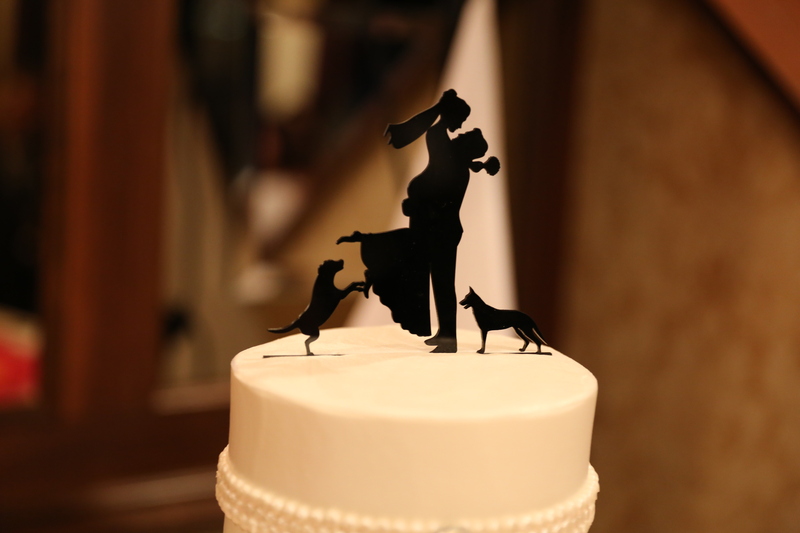 Their two dogs are important to them although they didn’t attend the wedding they were featured in the cake topper silhouette. 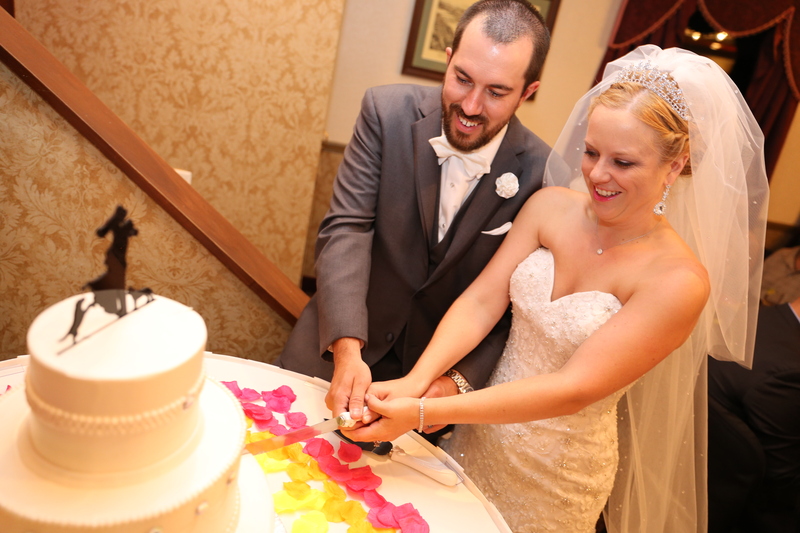 Working together to get the wedding cake’s first piece out and onto a plate. It’s more difficult than it looks! 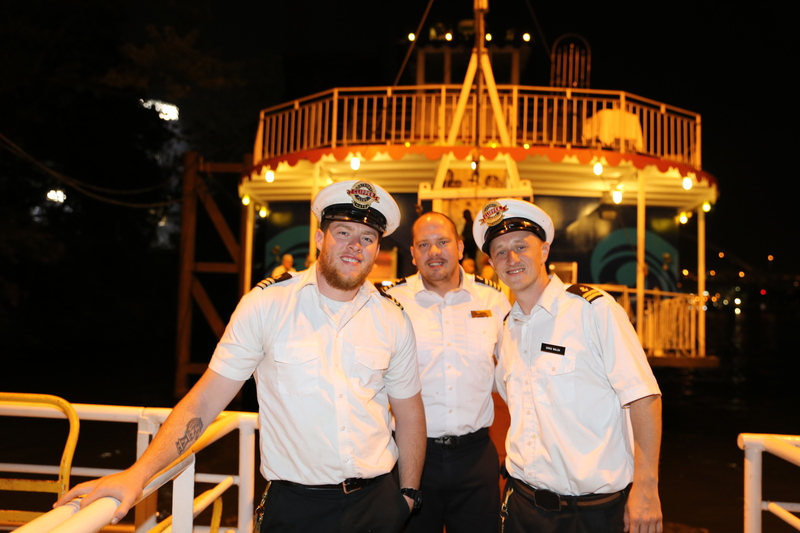 The ship’s captain Andy,flanked by the crew, navigated the Three Rivers Queen expertly, going up and down all three rivers- Allegheny, Monongahela and Ohio. 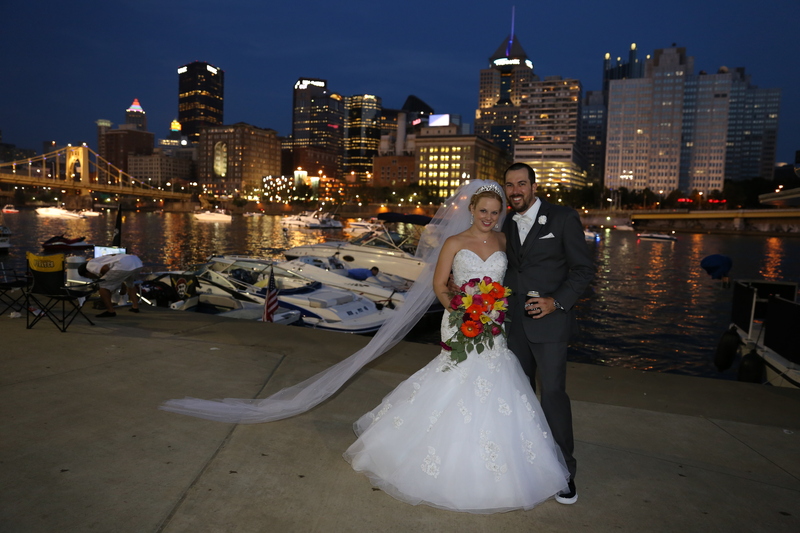 Wow – beautiful pictures Ruth E. The bride and groom picked a great venue. Well Done!!! 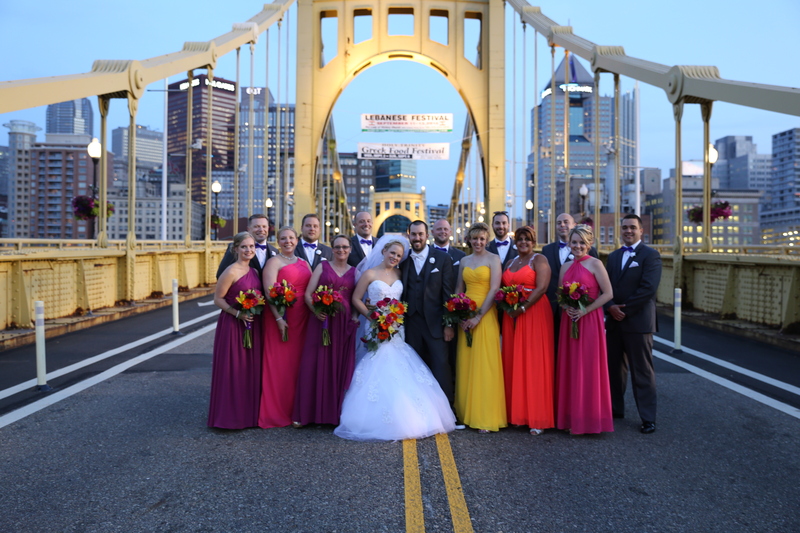 My favorite -The bridal couple and the bridal party on the bridge ! Congratulations to Kat and Kevin! It looks like a beautiful wedding. What a beautiful wedding! Love all those colors. Great pictures to remember the big day. Wow to everything!!!! Beautiful event !!!!! Best wishes Kevin and Kat !!!!! What a beautiful wedding. Congratulations to all!! Thanks for the good wishes. They are honeymooning in Paris! Very fun colors worn by the bridal party; great background settings for the group pics; and love the cake topper! It looks very spirited and fun – just like the happy couple! 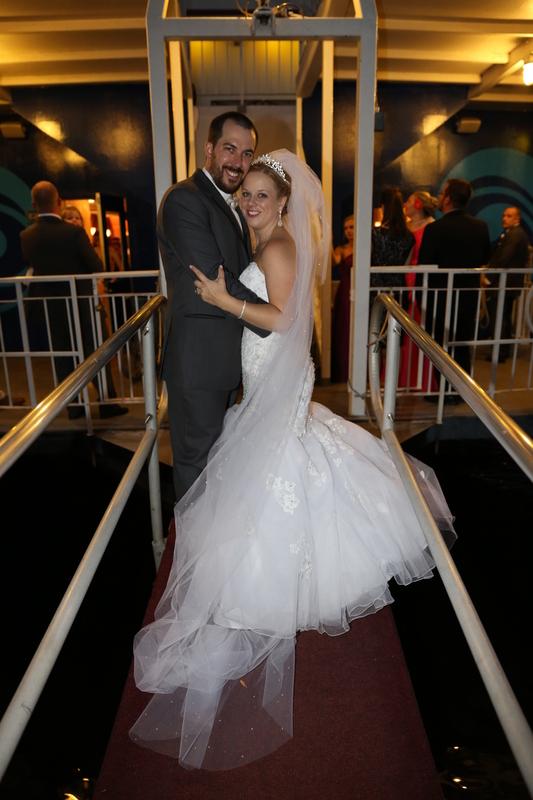 Congratulations to the bride and the groom. 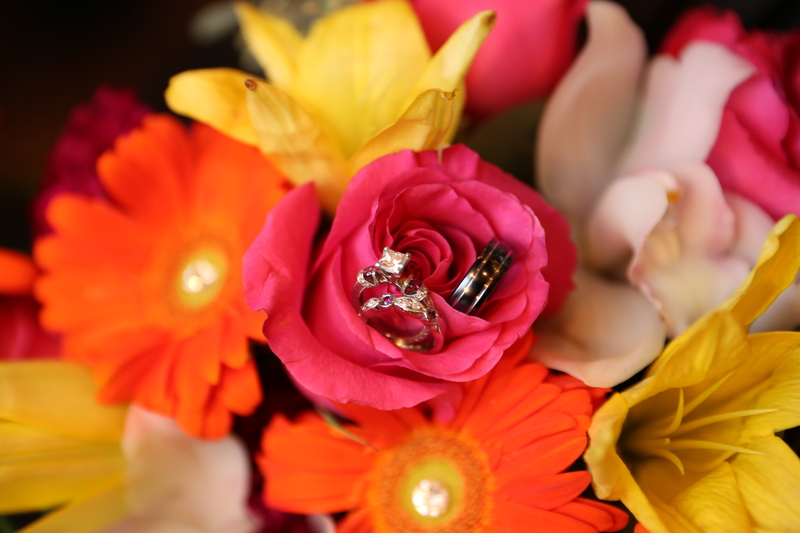 Great shots–loved the rings in the wedding bouquet, and the bridge shot was very fun too. Never saw dogs on the wedding cake topper before! Wow, what a great setting for the wedding, the pictures are so beautiful.